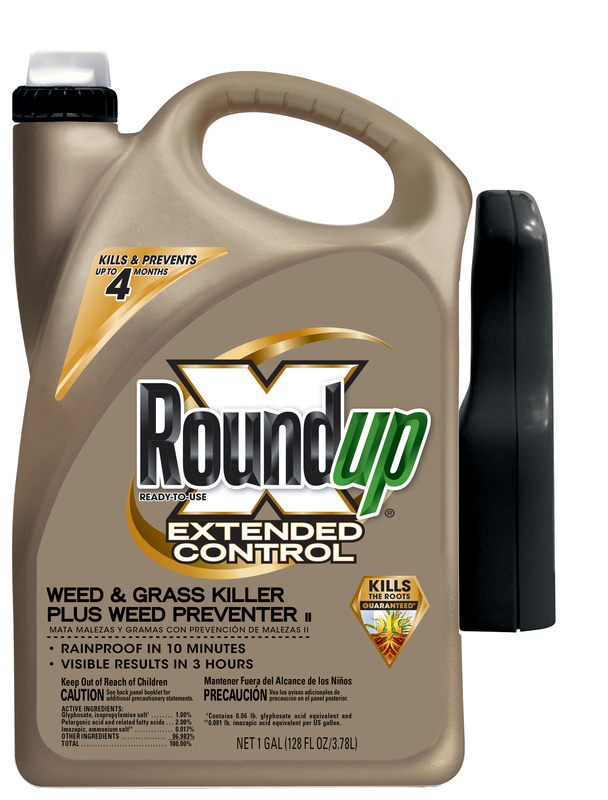 Dual-Action formula: Kills existing weeds to the root! Prevents new weeds from growing for up to 4 months! Dual-action formula works two ways: kills existing weeds and grasses to the roots and prevents weeds and grasses from growing for up to 4 months. Visible results in 3 hours. Rainproof protection in 10 minutes. Use in and around areas such as the driveway, sidewalk cracks, patios, paths, tree rings, mulched areas and along fence lines where any plant growth is undesired. Spray unwanted weeds, grasses, and areas where weeds typically grow. Spray the existing weeds and the entire area you want to keep weed-free. Spray the area until it is throughly wet. Do not use in lawns or for lawn renovation, fruits or vegetable gardens, unestablished plants (less than 6 months old), or landscape beds where ornamental plant growth is expected in the next 4 months. It will prevent plant growth in these areas. Apply to both existing weeds and weed-prone areas where weeds have not yet appeared. Spray when air is calm to prevent drift to desirable plants. For fastest visible results, apply during warm, sunny weather (above 60° F). Weeds usually begin to wilt and die within 3 hours with complete kill in 1-2 weeks. This product kills existing weeds and grasses down to the roots and prevents weeds and grasses from growing for up to 4 months.